Section 7(3) of the Arbitration and Concilitaion Act states that the arbitration agreement shall be in writing, which is a mandatory requirement. 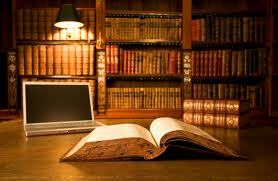 Section 7(4) states that the arbitration agreement shall be in writing, if it is a document signed by all the parties. But a perusal of Clauses (b) and (c) of Section 7(4) would show that a written document which may not be signed by the parties, even then it can be arbitration agreement. Section 7(4)(b) provides that an agreement can be culled out from an exchange of letters, telex, telegrams or other means of telecommunication which provide a record of the agreement. Reading the provision it can safely be concluded that an arbitration agreement is provided by exchange of letters, telex, telegrams or other means of telecommunication. Section 7(c) provides that there can be an arbitration agreement in the exchange of statements of claims and defence in which the existence of the agreement is alleged by one party and not denied by the other. If it can be prima facie shown that the parties are at ad idem, then mere fact of one party not signing the agreement cannot absolve himself from the liability under the agreement. In the present day of E-commerce, in cases of internet purchases, tele purchases, ticket booking on the internet and in standard forms of contract, terms and conditions are agreed upon. In such agreements, if the identity of the parties is established, and there is a record of agreement it becomes and arbitration agreement if there is an arbitration clause showing ad idem between the parties. Therefore, signature is not a formal requirement under Section 7(4)(b) or 7(4)(c) or under 7(5) of the Act. M/s Govind Rubber Ltd. v. M/s Loids Dreyfus Commodities Asia P. Ltd., 2015 (108) ALR 735.